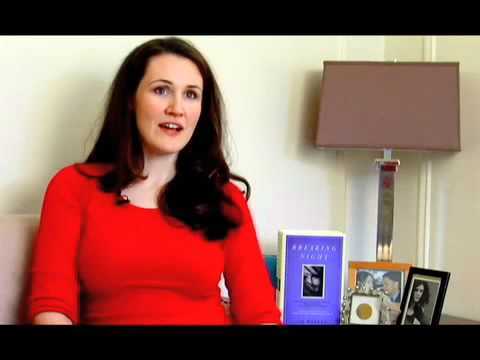 Elizabeth ‘Liz’ Murray was born to poor, drug addicted and HIV-infected parents, on September 23, 1980, New York. After the death of her mother, she became homeless as her father too moved to a homeless shelter. During that tough time she met Perry Weiner, the founder of Humanities Preparatory Academy. She began attending the Humanities Preparatory Academy in Chelsea, Manhattan. Liz would always arrive on time or even early for the classes. But Perry was unaware that Liz was homeless and staying at friend’s apartments whenever she could. Murray completed four years high school programme in just two years, in spite of the fact that she started high school later than most of the students and remained without a stable home while supporting herself and her sister. She applied to a scholarship offered by The New York Times worth $12,000 (around £7,800) a year, as per the suggestion of a teacher. Ironically, the application asked for an essay, describing about overcoming any obstacles in life in order to thrive in academics. At that point, she was not aware how difficult it was to make it to Harvard and neither that there were three thousand high school students applying for only six scholarships. She was awarded the New York Times scholarship and accepted into Harvard University and graduated in June 2009. From August 2009, she began taking graduate courses at Harvard Summer School with plans to earn a doctorate in clinical psychology and become a counsellor. She is the founder and director of Manifest Living and now works as a professional speaker, representing the Washington Speakers Bureau. A TV film on Murray’s life ‘Homeless to Harvard: The Liz Murray Story’ was released in 2003. She was awarded an honorary doctorate of public service, on May 19, 2013 and gave the commencement address at Merrimack College in North Andover, Massachusetts. Her book ‘Breaking Night’ remained a New York Times (US) and Sunday Times (UK) best-seller. From homeless to Harvard to transforming lives of the people; it was indeed a long yet a meaningful journey which Elizabeth ‘Liz’ Murray had crossed, which clearly exhibit to us that-‘We can attain any heights, no matter who and where we are from’.